Verizon has launched promotion that will substantially boost the bandwidth cap imposed on its 4G customers. Starting today (November 8 for the calendar-impaired), the carrier is doubling its allowable consumption of wireless traffic without charging extra. Subscribers who pay $30 for 2GB of bandwidth will receive 4GB per month, $50 will get you 10GB instead of 5GB and folks that cough up $80 will be afforded 20GB instead of 10GB. There doesn't seem to be any catches, though existing 4G customers will have to specifically request the increase whereas new customers will receive the higher limits outright. It's unlikely that this promotion will last forever. In other words, you'll only have a limited opportunity to request the higher caps. However, once applied, the change will last for the lifetime of your account according to a Verizon representative speaking with RootzWiki. It's by no coincidence that Verizon's latest 4G marketing efforts kick off only three days before it's expected to launch the hotly-anticipated Motorola Droid Razr. Based on early reviews and hands-on impressions, the handset is poised to be among the finest to date. It boasts a 7.1mm, 4.48oz body crafted from stainless steel and Kevlar, a 4.3-inch display protected by Corning Gorilla Glass, a 1.2GHz dual-core TI OMAP4 processor, 1GB of RAM, 16GB of storage, an 8MP camera, as well as Wi-Fi, Bluetooth 4.0, microSD, USB and HDMI connectivity. The Droid Razr officially launches this Friday, November 11, but it's been available for preorder since late last month. Pricing is set at $299 with a two-year contract. 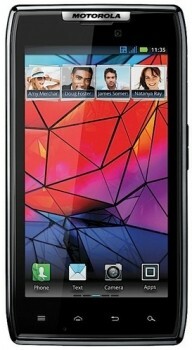 Shortly after the Razr's arrival, Verzion will add the HTC Rezound and Samsung Galaxy Nexus to its 4G LTE offerings. The lineup currently includes the Motorola Droid Bionic, Samsung Stratosphere and Droid Charge, LG Revolution, Pantech Breakout, and HTC Thunderbolt. Our smartphone guide was recently updated if you're looking for a more conclusive rundown of today's most popular handsets.